One of the wonderful things about baseball is how many people from all over the world play the game. MLB rosters have players from the U.S., Puerto Rico, Canada, Mexico, the Dominican Republic, Cuba, Panama, Venezuela, Columbia, Australia, Korea and others. 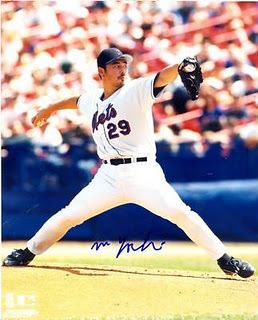 Today’s trivia question is: Can you name the 11 players on the Mets’ all-time roster who were born in Japan? Leave your guesses in the comments section and I’ll give the answers next week. The other three are — Satoru Komiyama (the Japanese Greg Maddux! ), Kaz Ishii and Shingo Takatsu. Dae-Sung Koo was from South Korea.